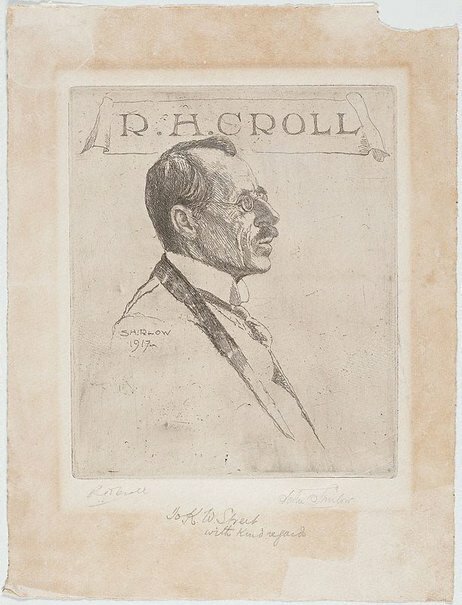 Portrait of R.H. Croll, Esq. Signed, l.r. corner, pencil "John Shirlow". Signed and dated in plate to print c.l., incised "SHIRLOW/ 1917".